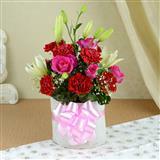 Flowers are the most alluring gifts available. 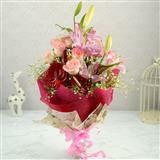 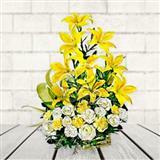 Flowers evoke emotions by revealing your un-said words in a beautiful way. 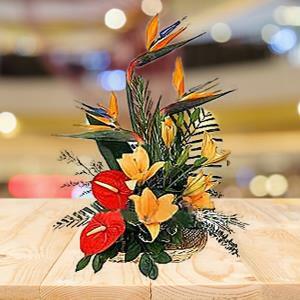 This exotic flower arrangement comprises of 1 stem of Bird of Paradise Flower, 2 Red Anthuriums and 2 stems of orange Lilies (2*3= 6 lilies), decorated with green leaves and ferns. 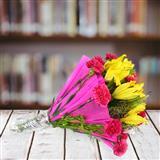 This arrangement can win hearts for you dear recipients. 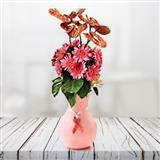 Along with this you can also send other Gifts across India through GiftsAcrossIndia.com to be delivered in a safe and speedy mode.